So yesterday I went for my anomaly scan at the hospital. Everything went absolutely fine! Baby is developing well and everything is as expected. Baby is weighing in at a pound at the moment! 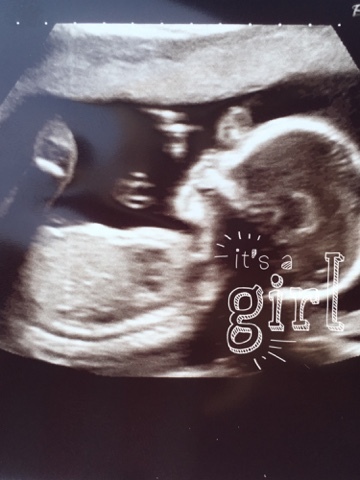 I'm also very excited to reveal that we are having a little girl! I honestly couldn't believe it when she told us that we were having a little girl. My boyfriend and I came over very emotional I didn't know quite what to do I think I was just in shock. I was almost certain we were having a boy. I didn't have a preference of gender but as a little girl myself I always dreamed of having a little girl myself. We went shopping after and I think this is when it really hit me about having a girl. We brought a couple of little pink items of clothing. I will do a baby haul at some point. We can't wait to meet our little princess!